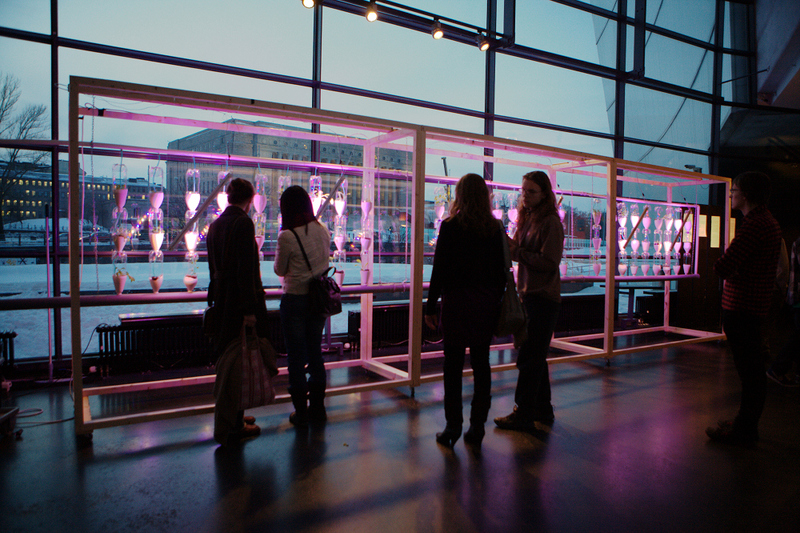 The LEDs for the 'Windowfarms Finland' installation are now glowing. Also, Helsinki days are sunnier, longer, and many of the plants are growing in the huge Kiasma takaikkuna window. 'What plants are there?' you ask.. The latest update can be found in the 'plant chart' recording the current content of the installation in an online spreadsheet. Hopefully the majority will make it until the end of the month, where there will be workshops on 27th and 28th March, using some of the plants. Documentation of the participatory building workshop, LED module-making, and finishing of the installation, have now been gathered onto one page.